From Captain's Daughter to Army Mom: Master Bathroom Remodel - A little Bling and a Lesson Learned! 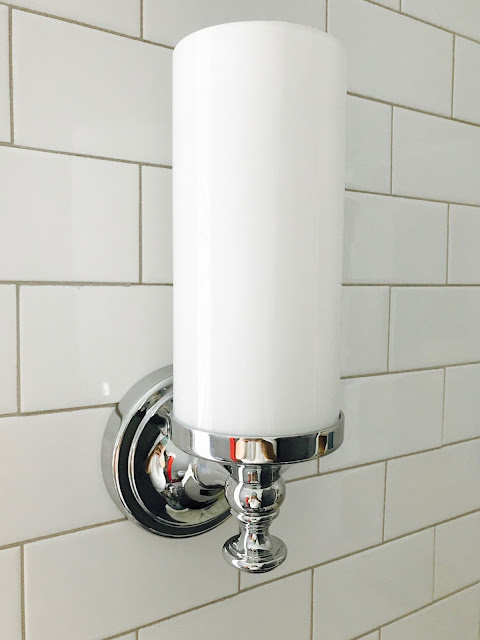 Master Bathroom Remodel - A little Bling and a Lesson Learned! them for Mapei's Silver, which turned out to be the match I was looking for! 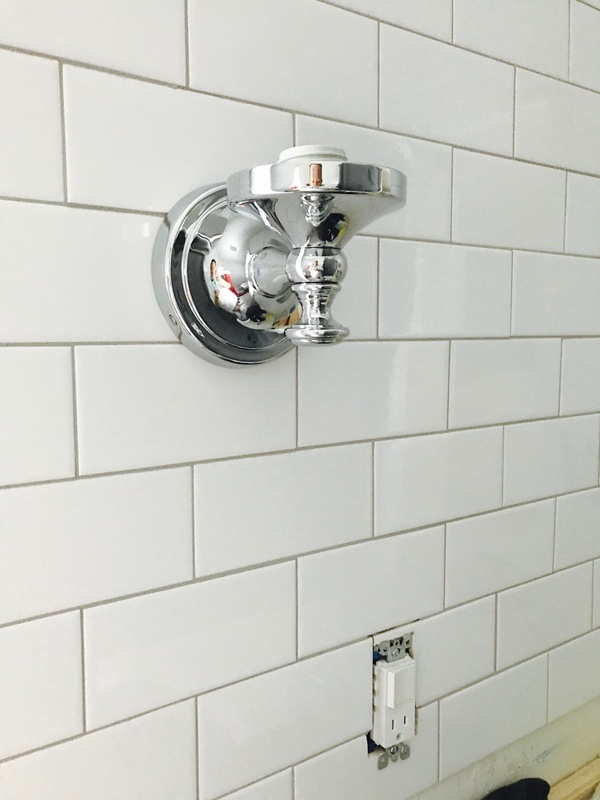 your tile, your tiles must be straight or your grout lines won't be! Fortunately, hubby got the memo! reason to crank down on screws to secure things until your tile cracks! 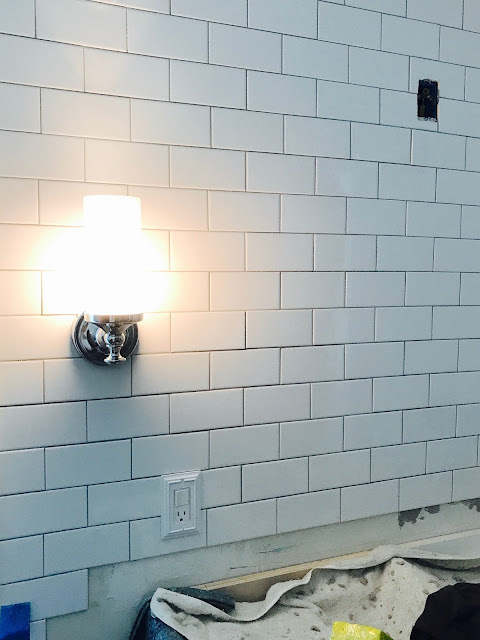 My sweet handyman kept his promise to install the wall sconce! so fortunate to have found it at the Outlet in Gaffney for half price! 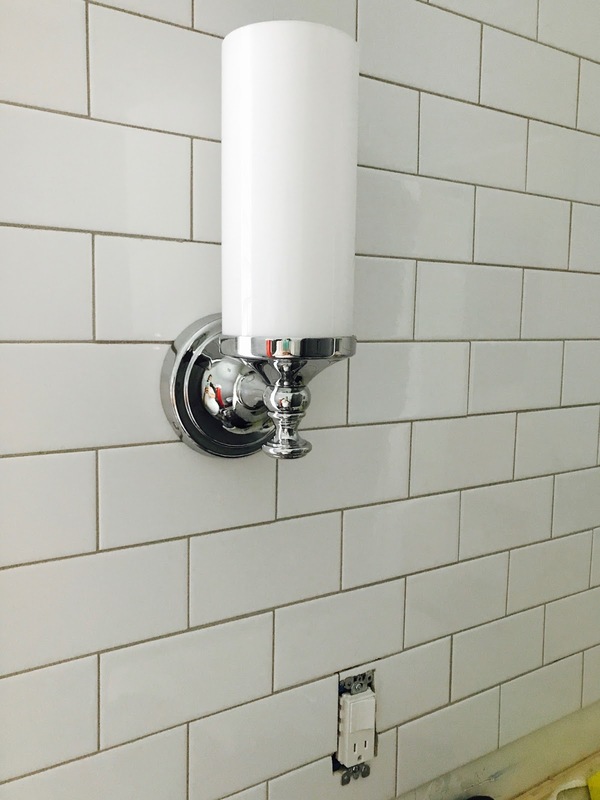 It's just the perfect choice for this classic bathroom renovation! the Kensington mirror I picked out!